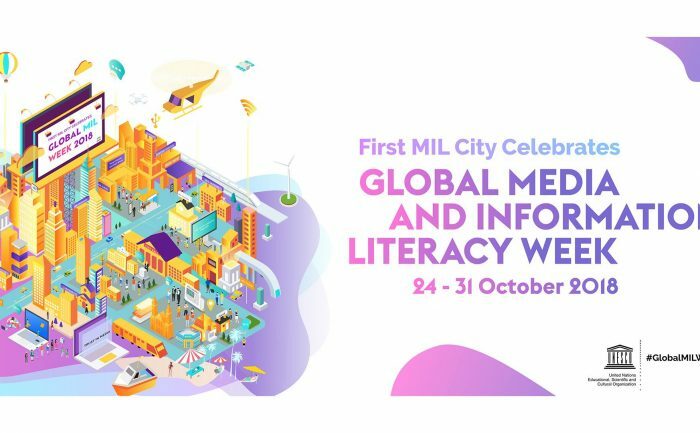 For the first time in Lithuania, the Baltic States, and the Northern Europe, the Feature Conference of Global Media and Information Literacy Week will be held at Vytautas Magnus University (VMU) on 24-25 October. The event, the 8th Media and Information Literacy and Intercultural Dialogue (MILID) Conference, will welcome about 300 participants from all over the world, including leading experts from the USA, France, Great Britain, and other countries. Conference speakers will discuss the changing media environment, the influence of the media on social and political processes, and the competences and skills necessary for sustainable social, cultural, economic and political development of the world. The aim of the event is to promote international cooperation in the development of media and information literacy (MIL), support the role of academic institutions and their relations with other organizations, establish new partnerships, and stimulate discussions on these issues in the public sphere for the advancement of a smart, creative, and sustainable civil society. “Over the last 40 years, which have been very dynamic in the context of the media, communications, and social change, UNESCO was one of the first international organizations to take on leadership in the development and promotion of international dialogue on MIL issues. From the Grunwald Declaration of 1982 to the Riga Recommendations of 2016, UNESCO has been inviting countries, organizations, creative industries, educational, scientific and cultural institutions to unite and cooperate in MIL networks and implement projects and initiatives”, one of the conference organizers, head of VMU Dept. of Public Communication, Prof. Kristina Juraitė, explained. The conference is organized by UNESCO, Vytautas Magnus University, University of Latvia, and the national commissions for UNESCO in Latvia and Lithuania. Both VMU and University of Latvia are members of the UNESCO Media and Information Literacy and Intercultural Dialogue (MILID) Network. The guest speakers at the event will include Prof. Henry Jenkins from University of Southern California (USA), Prof. Sonia Livingstone from London School of Economics and Political Science (UK), Dr. Carl Heath (Sweden), Prof. Paul Mihailidis (USA) etc. 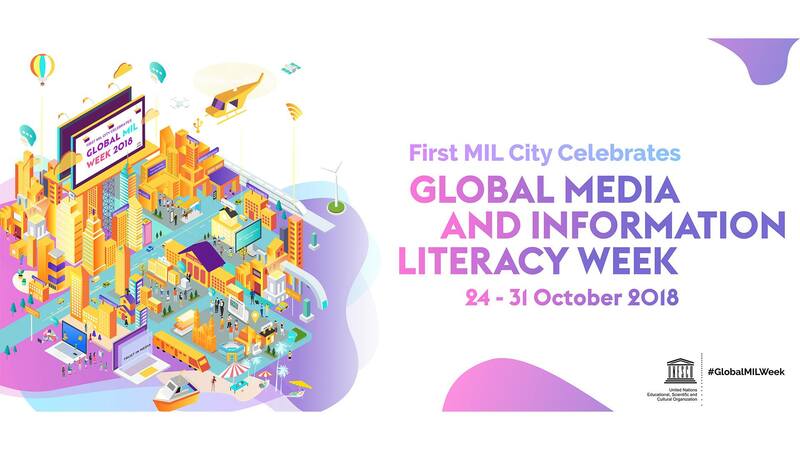 The theme of the conference, and of the entire Global MIL Week 2018, is Media and Information Literate Cities: Voices, Powers, and Change Makers. Discussions and paper presentations will focus on education of media and information literacy in the Baltic states, MIL as mediator between cultural industries and the city, the transformation of information needs in the cities, privacy and bullying online, the impact of digital environments in the age of misinformation, the role of MIL in the struggle for gender equality and women’s empowerment, the fight against hate and intolerance etc. “The academic community has been given the rather important role at the forefront of the media and information literacy movement, which promotes the need for MIL in a sustainable, civil and democratic society. For this reason, this annual conference is primarily an opportunity for Lithuanian scientists to join international media literacy networks, get acquainted with the latest scientific studies and develop relevant research in the future”, Prof. Juraitė said. Three years ago, the professor and other VMU scientists conducted a study on media literacy in Lithuania. The study, titled “Education of News Literacy: How to Understand Media?”, involved two public surveys where questions were answered by 15-17 year old pupils and adults (from 18 years old) respectively. The results demonstrated that the more educated individuals tend to assess online content more critically and verify the veracity of the news. The experts also prepared guidelines for the Lithuanian media policy: they proposed to review the methods of promoting and sponsoring journalism, with more focus on public interest, and to reassess the teaching of media literacy at schools. This year VMU has strengthened its relations with the United Nations Educational, Scientific and Cultural Organization: the university has opened the UNESCO Dept. of Media and Information Literacy, which conducts MIL research: analyses media consumption, media policy, citizen participation and empowerment trends, and MIL education initiatives. The department also aims to develop MIL competences of students and educators and disseminate information on these issues in Lithuania and internationally. “This acknowledgement is a result of long cooperation with UNESCO and other international organizations in the field of MIL research and studies. In their development of media research, VMU scientists have been actively involved in UNESCO-initiated MILID and GAPMIL networks and the activities of international scientific associations ECREA, ICA, BAMR, and AABS”, the head of VMU Dept. of Public Communication explained. According to Prof. Juraitė, the UNESCO conference should be of particular interest to scholars of a wide variety of fields, including communication, journalism, education science, sociology, politics, public administration, arts, creative industries and other areas, as well as education and media policymakers, NGOs, businesses and start-ups. The 8th annual UNESCO Media and Information Literacy and Intercultural Dialogue (MILID) Conference will be held on 24-25 October in Kaunas, at Vytautas Magnus University (S. Daukanto g. 28). On 26 October, the participants will attend further events in Riga organized by the University of Latvia.